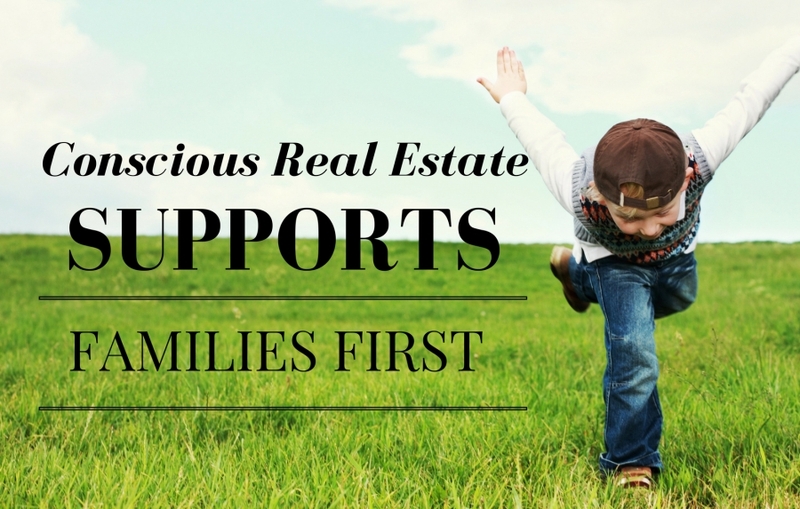 Conscious Real Estate donates 10% of every home sale or purchase to a local nonprofit of our clients’ choice. Recently, Agent Kimberly McAleenan’s client chose Families First here in Colorado. Raising a family takes endurance and love, patience and grace. Life, on the other hand, often gives us chaos and challenges. And, parents are tested on their patience regularly. Every. Single. Day. It can take a lot out of anyone. It is the belief of local organization Families First, that prevention and education can help parents and caregivers with frustrating moments and explain parenting skills that can make peace at home. This in turn, can help end the cycle of child abuse and neglect. “Crystal called the Families First Support Line about her ten-year old son was having a rough time. The Families First Support Line volunteer discussed the situation with Crystal and empathized with her. They discussed the fact that all any of us can control is ourselves. Sometimes we need to work on that to prevent ourselves from getting angry. A month later, Crystal commented that we at the Support Line were more helpful to her than her doctor. She said it was nice to talk to someone who really cared and was supportive in talking about her concerns. Parents and caregivers can also attend local parenting classes to get advice from an expert and fellow parents. Children aged 4 – 12 years old can attend certain free classes and have a separate curriculum. Kids can enjoy a craft, snack, and sharing time geared toward boosting your child’s self-esteem. Families First also offers intervention and began with residential care for abused and neglected children starting in 1986. Since then, they have developed programming to educate parents, help them connect with their children, and provide a place for positive parenting. And, they need donations to keep up with the demand. Left: (from left) Conscious Real Estate Agent Kimberly McAleenan, Conscious Real Estate Client Molly, Families First Executive Director Adam Robe, Director of Communications and Outreach, Rosa Huber. “They shared a lot of insight with us and Rosa has been with the company 23 yrs!,” said McAleenan. 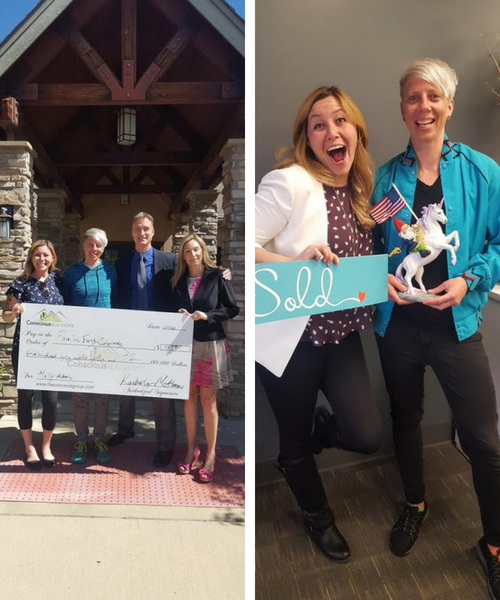 Right: Conscious Real Estate Agent Kimberly McAleenan finds the most thoughtful gifts for her clients and promised her client the best gnome ever as a closing gift. Ta-daa!